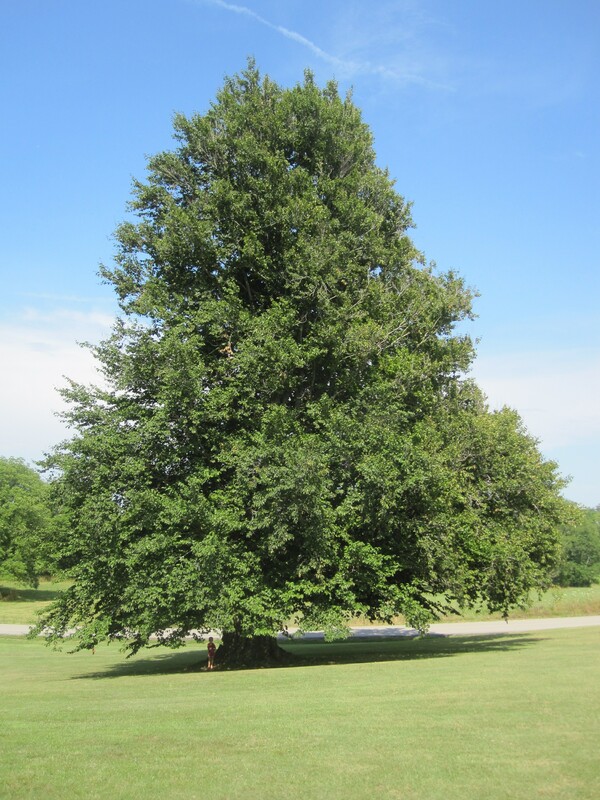 One of my favorite parts of the farm…our 250 year old Beech Tree. That puts its first birthday around the year 1760. 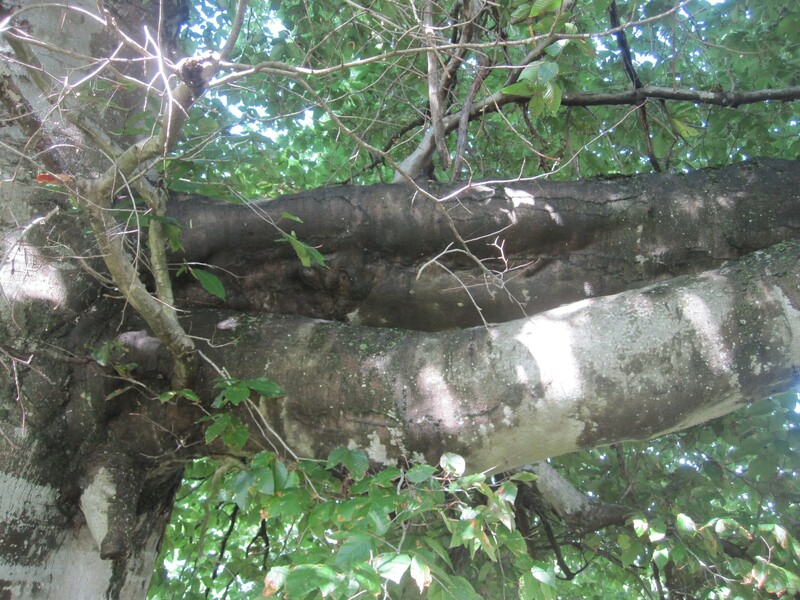 If trees could talk, this one could tell us some stories I’m sure. This picture is taken several hundred feet away from this large tree. 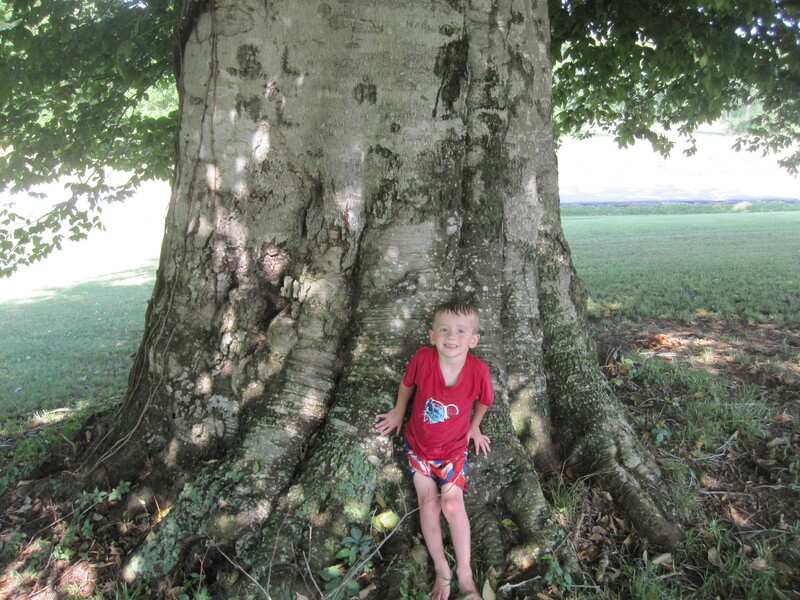 For comparison sake, look at the bottom of the tree and you’ll see my son Charles standing next to the trunk. A close up of the trunk (and Charles). 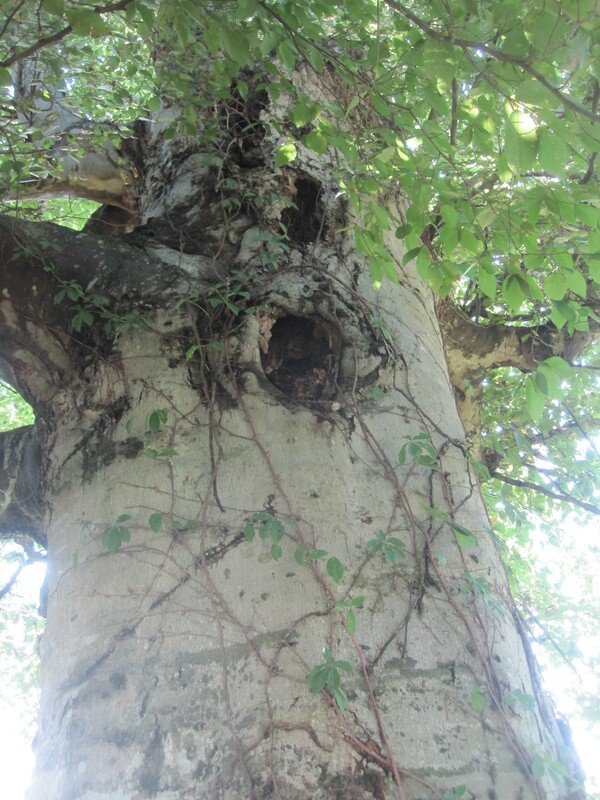 These holes are homes to all sorts of wildlife. The branches on this tree are larger than the trunks of my 100 year old trees on the farm.